Statins are a group of cholesterol-lowering medications that work by blocking a key protein, HMG-CoA reductase, which is responsible for making cholesterol in the liver. These drugs are effective at reducing strokes and heart attack. Millions of Americans take statins because they effectively target all aspects of your lipid profile by lowering LDL cholesterol and triglycerides while raising HDL cholesterol. However, like most medications, there are potential side effects. About 5 to 10 percent of patients taking statins experience clinically significant side effects, which is higher than original reports. Symptoms may appear within the first six months of treatment or appear after several years. 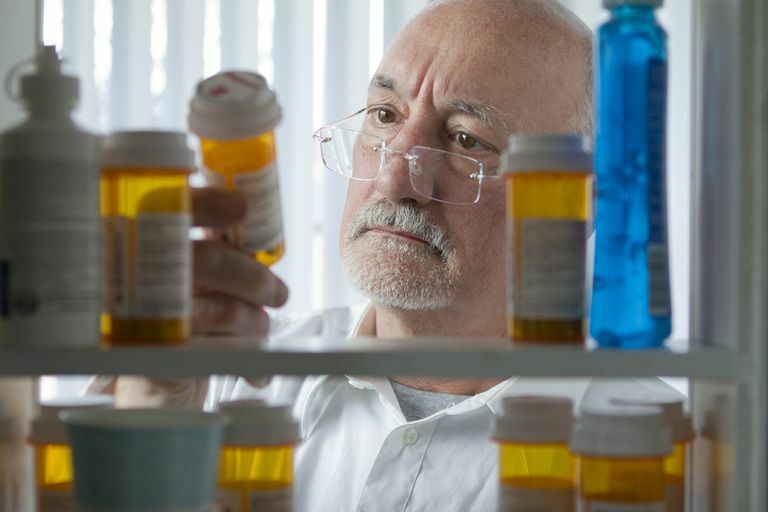 A study published in a 2016 issue of the New England Medical Journal shows statin-associated autoimmune myopathies are also a side effect of statins. This serious muscle wasting condition is rare and occurs in a fraction of patients. Previous studies show that the gene atrogin-1 turns on at the beginning stages of the breakdown of muscle (muscle wasting), which is associated with illnesses such as cancer, sepsis, and AIDS. When the atrogin-1 gene is not active, muscle wasting does not occur. Scientists at Beth Israel Deaconess Medical Center in Boston, Massachusetts felt that atrogin-1 might also play a role in the development of myopathies in those taking statins. To test this, the investigators gave a statin, Mevacor (lovastatin), to cultured muscle cells, zebrafish, and humans. Researchers found that humans taking lovastatin had higher levels of atrogin-1 than those not taking the drug. The more Mevacor given to the cells and zebrafish, the more likely it was that muscle damage would occur. When atrogin-1 was removed from the cells, the drug did not cause muscle damage. This information is preliminary, but it provides an understanding of what may be causing muscle pain in statin users, and why some individuals taking statins may be more susceptible to this than others. In the future, this may allow your health care provider to identify if you are at risk for statin-related myopathies, ranging from mild muscle pain to life-threatening rhabdomyolysis. Additionally, scientists may be able to manipulate this gene, or others involved, to prevent muscle damage caused by statins. Hanai JI, Cao P, Tanksale P, et al. The muscle-specific ubiquitin ligase atrogin-1/MAFbx mediates statin-induced muscle toxicity. J Clin Invest. 117(12):3940-3951. Mammen, Andrew. The New England Medical Journal of Medicine: Statin-Associated Autoimmune Myopathies (2016). Mayo Clinic: Statin Side Effects - Weight the Benefits and Risks (2013).